Eleonora Scalseggi has this to say “Green pepper essential oil is steam distilled from the unripe drupes of Piper nigrum, one of the most prized and widely used spices in the world since the ancient times. With its salty terpenic, watery-green yet fiery peppery fresh opening it is a very different material from the widely known warm-spicy black quality. 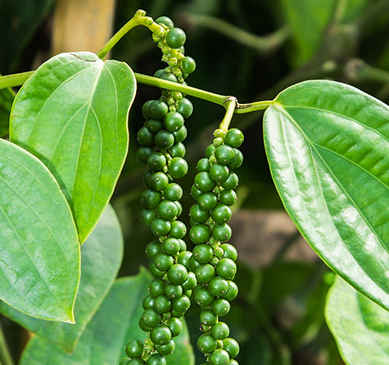 Green pepper EO is much brighter and crisper, reminding clearly of the freshly crushed brined green peppercorns.